New Orleans restaurants are fairly predictable during Lent – they have red beans and rice on Mondays and a seafood special on Fridays. The Monday special is a long-standing practice. Mondays traditionally were laundry day in New Orleans and red beans and rice was an easy dish to put on the stove and leave. The dish is a standard offering every Monday in New Orleans restaurants. During Lent, Catholic believers often give up meat (beef, pork, chicken, lamb, duck, etc.) on Fridays. Seafood is OK though, so restaurants offer tasty seafood dishes on Fridays. FYI – Lent starts Ash Wednesday (the day after Mardi Gras) and ends on Easter. Want to try your hand at red beans while you knock out your laundry this weekend? Check out this recipe from our food columnist, Patsy R. Brumfield. 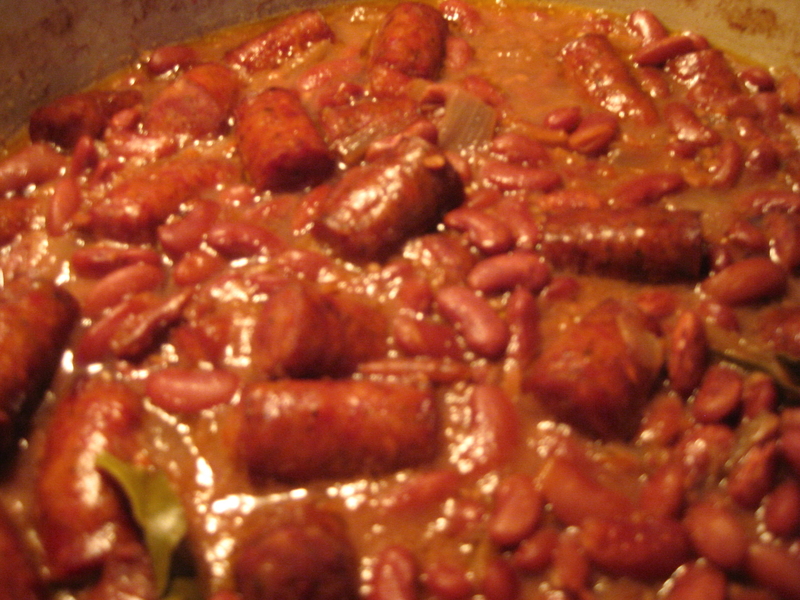 – A classic red beans recipe from NOLA.com | The Times-Picayune. Header image is from Flickr user Cookbookman17 and used in accordance with a Creative Commons license. Next PostThanks for following @NewinNOLA on Instagram!